Bill specifies that new quota will not affect the 52 per cent reservation existing for OBCs, SCs, STs and others. Move comes 5 months ahead of Lok Sabha polls. Mumbai: In the wake of the Maratha community’s protests — first peaceful and later violent — the Bharatiya Janata Party (BJP)-led Maharashtra government Thursday tabled a bill to create a 16 per cent quota for it in government jobs and education. The state assembly passed the bill unanimously. The bill seeks to create a separate Socially and Economically Backward Class (SEBC) to implement reservation for Marathas. However, the reservation will exclude the ‘creamy layer’, as per its prevalent definition. Fadnavis had earlier declared that the Maratha community should prepare for celebrations on 1 December. BJP legislators came to the House wearing a saffron pheta, a quintessential Maharashtrian turban, and shouted slogans congratulating the BJP-Shiv Sena government. Maharashtra already has 52 per cent reservation, even though the Supreme Court has mandated the total reservation to be capped at 50 per cent. However, the state government is using an exception in the apex court’s ruling, which allows states to breach the 50-per cent cap by justifying social and economic backwardness and exceptional circumstances. The OBC community in particular had expressed concerns that a Maratha quota may cut into reservations in place for other sections. However, the bill specifically states that the quota for SEBCs will not impact existing reservations for OBCs, Scheduled Castes, Scheduled Tribes, Special Backward Classes, Vimukta Jati and nomadic tribes. The approval for a Maratha quota comes five months before the Lok Sabha polls, and about a year before the state assembly polls. The Maratha quota issue had become a political hot potato, with members of the community consistently staging massive protests since 2016. They were often joined by politicians of all hues. The protests were initially lauded for being silent and peaceful, despite there being lakhs of organised protestors. However, earlier this year, the protests turned violent, compelling the government to fast-track the State Backward Class Commission report. In June 2017, the Maharashtra government had asked the commission to study the social and economic backwardness of the Marathas. The commission was asked to determine parameters to establish the community’s backwardness, study existing reports on the issue, determine the exceptional circumstances for the Maratha community to be eligible for reservation, establish the population of Marathas in the state and the current representation of the community in government jobs and education. The commission submitted its report to the government on 18 November 2018. While the opposition had been pressurising the government to table the entire report in the state legislature, the government instead tabled an ‘Action Taken Report’ on the recommendations of the commission Thursday. 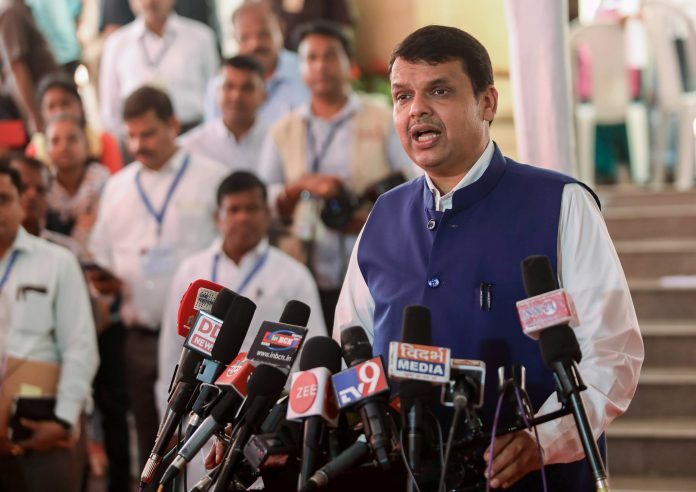 The commission gave the community 21.5 out of 25 points on social, educational and economic backwardness, and said the Marathas were eligible to be declared as a backward community. Marathas account for approximately 30 per cent of the state’s total population, and the report said 76.86 per cent of the community members are either farmers or farm labourers. Of the total 13,368 farmers who committed suicide due to agrarian distress between 2013 and 2018, about 24 per cent were Marathas. Emphasising that the condition of women in any community is a key indicator of its social status, the report said that 88.8 per cent of Maratha women worked as labourers to earn a living. Moreover, 21.1 per cent Marathas moved to the state’s urban areas in recent years, working mostly as dabbawallas (lunch-carriers), hamals (porters) and mathadis (head-loaders) due to lack of educational qualifications. With seasonal jobs forcing Marathas to migrate temporarily and live in slums, the education of children too suffers, the report said.